What Does A Spiritual Mentor Do In The Life Of A Christian? There are many examples of spiritual mentors in the Bible. While the word mentor is not used in the pages of Scripture, the concept of a mentor is evident in the life of Christ with His disciples. Then they became mentors to others whom they taught. A spiritual mentoring relationship or discipleship program is not like an apprenticeship where the apprentice learns a skill from the teacher. Spiritual mentoring is largely about modeling a mature Christian life and being there for the student when questions arise. This does not mean that the teacher is perfect, but that he has more knowledge and experience with the Word of God and is seeking to live a victorious Christian life. Here are some things that a spiritual mentor does that we see in the Bible. As you consider mentoring someone who is new to the Christian life, use these principles as guidelines in this important relationship. A spiritual mentor is essentially a teacher. This is less of a “training for a task” type teaching as it is imparting knowledge and jointly discovering answers to questions the new believer has. This teaching should include the basic doctrines of the Bible: God, Jesus, man, sin, salvation, etc. The mentor does not have to be an expert on these topics, but he should be able to answer basic questions or know where to find the answers. Many times the best teaching comes from researching together to find the answers from God’s Word (2 Timothy 2:15). Our Lord Jesus Christ was the perfect example. He taught His disciples to follow Him and mimic Him by living with them (John 1:38, 39). Jesus asked the disciples to put away their current occupations to walk alongside Him and learn from Him (Matthew 4:18-22). As spiritual mentors today we don’t always need to have those we teach forsake their jobs and move into our house with us. But it would not be wrong either. Often young people will temporarily move in with another family to observe how they live when no one else is watching. Young preachers may take up residence with a more mature preacher to learn the ins and outs of a particular ministry or mission. But, more practically, we can mentor a young Christian by spending as much time with them as we can. It may be a schoolmate or co-worker that you are discipling. You already spend several hours a day together. Purposefully use that time to be a godly example. The Apostle Paul said that his followers should look to him as an example in the same way he looked to Christ (1 Corinthians 11:1). This is not arrogance on Paul’s part. It is simply a principle of spiritual mentorship. The student needs an example to follow and the teacher needs to be the best one he knows how to be (2 Thessalonians 3:9). Again, this does not mean the teacher will never make a mistake, it simply means that the teacher will strive to be a good example. Spiritual mentoring is largely about modeling a mature Christian life and being there for the student when questions arise. The spiritual mentor does not only model the Christian life, he should pray for the student. This is where spiritual battles are won and lost. Paul opened many of his letters with the comment that he has prayed for the believers he is trying to teach (Philippians 1:3-6; 1 Thessalonians 1:2, 3; 3:10-13; etc.). As Christians we say we believe in the power of prayer, but how often are we engaged in serious prayer for others? We should pray that God would give us a person we can mentor as well as pray for that person through the process. As the mentor teaches the student, he should be praying for the student to understand and continue to have an interest in learning the principles of the Bible. Spiritual growth does not happen in a vacuum. We can have all kinds of knowledge, but unless we put it into practice we don’t have any proof of learning. In 1 Thessalonians Paul taught the believers to have right relationships with one another. He pointed out some brothers and sisters by name holding them up as an example of Christian maturity (1 Thessalonians 3:2-6). Other times he encouraged the church to grow in love (1 Thessalonians 4:9, 10), to comfort, encourage, respect and support one another (1 Thessalonians 5:11-15). In reading the book of 1 Thessalonians—which is a great book from which to draw out principles of spiritual mentoring—we can see that Paul uses the way we treat one another as Christians as signs of spiritual maturity. A spiritual mentor should encourage the student to learn how to deal kindly and godly towards other people. 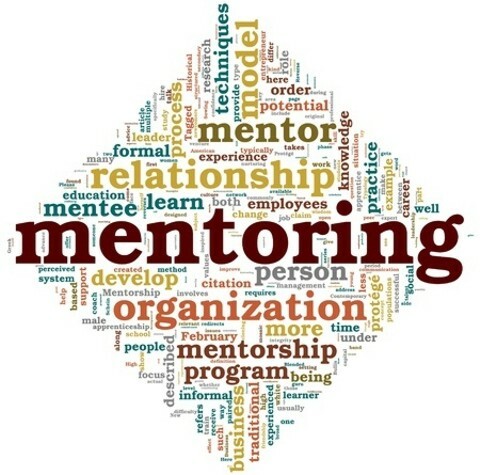 One of the greatest joys of a spiritual mentor is to see his disciple turn around and begin mentoring others. Paul told his disciple Timothy that the things Timothy learned from Paul should be taught to others. But the process does not stop there. Paul said that Timothy should train his disciples to train other disciples (2 Timothy 2:2). Whether you are looking for a spiritual mentor or seeking to be one for someone else, I trust these principles from the Bible will help you know some of what a spiritual mentor does. For the student: seek someone you can respect as your teacher. For the mentor: ask God to help you grow to be the respected example you should be so that you can help others to Christian maturity. Related reading: What is Discipleship? Thank you for the information on what a spiritual mentor does in the life of a Christian. My wife is going to see a spiritual mentor to help her walk closer to god. I was curious what exactly a spiritual advisor does. Thank you for clarifying, a spiritual mentor teaches and guides.